Outer shell is made of Kydex® for optimal force distribution, stability and durability. Removable liner is made of neoprene padding with a soft, nylon covering. Progress-Plus™ Elbow Turnbuckle Orthosis improves range of motion by providing static progressive positioning of the elbow. Simply screw the included turnbuckle in or out to apply the desired level of force. 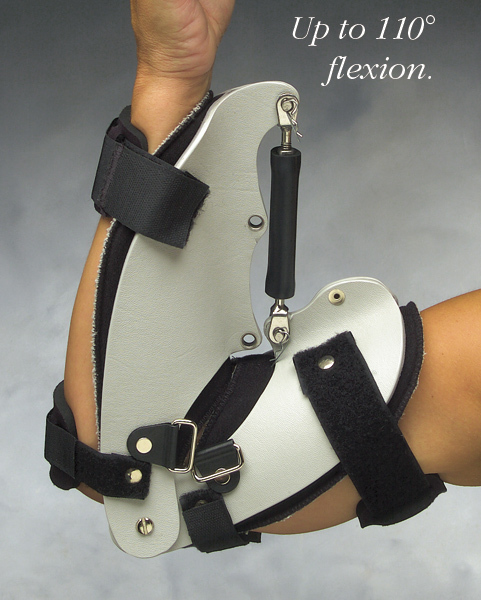 Ideal for post-surgical repairs, contractures or abnormal tone conditions affecting the elbow. Provides infinite adjustability. Turn the turnbuckle to position the elbow between 0° extension and 110° flexion. Move the turnbuckle end to the proximal hole to obtain maximal extension or to the distal hole to obtain up to 110° flexion. No tools are needed for adjustments. Order optional turnbuckle if greater end force is needed. For final flexion use one size smaller and for final extension, use one size larger turnbuckle. 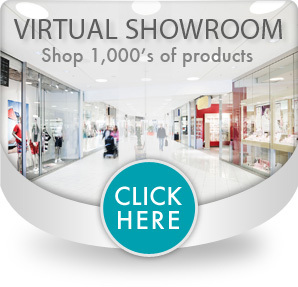 D-ring VELCRO® brand straps provide easy application and cinching for proper fit. 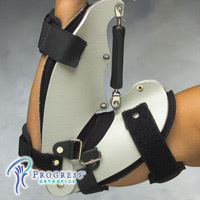 Slip-on pads on the straps provide optimal comfort and support across the arm. Shell can be cleaned with soap and water. Liner may be machine washed and air dried. To size, measure circumference at the forearm.